More than 70 years after the end of the Second World War, countless pieces of ammunition from this time are still lying in all the oceans and rusting away. Once the casings have been damaged, the explosives can release toxic substances into the seawater. A new survey study by researchers from the GEOMAR Helmholtz Center for Ocean Research Kiel and the Schleswig-Holstein Ministry of the Environment points out considerable knowledge gaps regarding the distribution and impact of these chemicals on marine ecosystems. 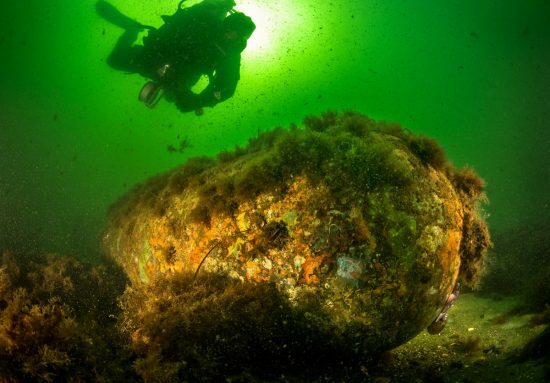 Sea mines, air bombs, torpedo heads and grenades - the coastal waters of the North and Baltic Sea are littered with explosive relics from the wars of the 20th century. More than one million tons of intact and corrosive ammunition lie there on the seabed, sometimes in heaps, when deliberately disposed of after the wars, some scattered as they were sunk or lost during wartime. 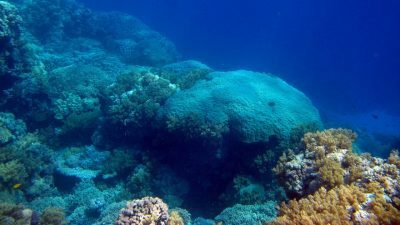 A new study, now published in the international journal Frontiers in Marine Science, shows that this problem is not only affecting the North and Baltic Seas. 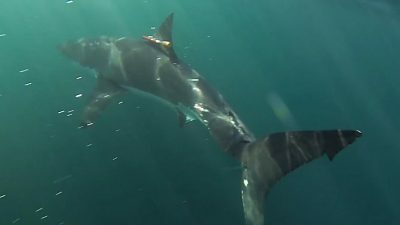 "It is indeed a global problem, as coastal regions of almost all continents are affected by underwater ammunition," says lead author Dr. Aaron Beck from GEOMAR. For the study, Dr. Beck together with colleagues compiled information and literature on ammunition in the oceans worldwide. The team describes the magnitude of the underwater munitions problem and summarizes the well-known biogeochemical behaviour and environmental impact of ammunition-related chemicals in the marine environment. "Although the problem of marine ammunition is widespread worldwide, it has received surprisingly little attention. Often the motto is ‘out of sight, out of mind’. 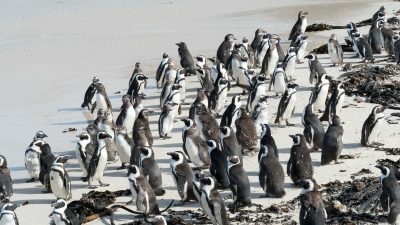 There are always accidents with fishermen or with walkers on the beach," said Dr. Beck. In many cases, neither the exact location, nor the identity or condition of underwater ammunition is known. 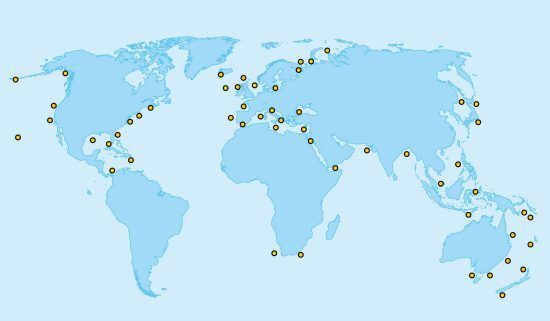 At the same time, shipping traffic is increasing and the number of pipelines, offshore wind farms or aquaculture facilities is increasing. It is therefore becoming more and more urgent to collect more information about ammunition in the sea and to eliminate it. A large part of the old ammunition has been in the water for more than 70 years. Therefore, many metal casings now show strong corrosion. Damage causes the explosive to be exposed inside and to release chemicals to the surrounding water. Although explosive compounds are poorly soluble in water, they contain toxic and carcinogenic chemicals. "The release and further fate of these chemicals are not yet well understood," says Dr. Beck, "but precisely these processes are crucial for estimating how the old ammunition can affect marine ecosystems." 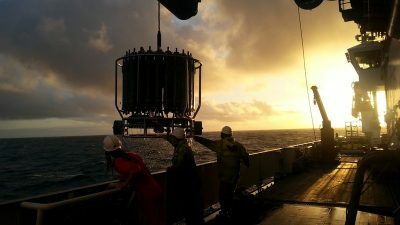 The study was developed in cooperation with the GEOMAR-led research project UDEMM: Environmental Monitoring for the De-Marine Ammunition, which also includes the Christian-Albrechts-University Kiel, the Leibniz Institute for Baltic Sea Research Warnmünde and the "Zukunft Meer" (Future of the seas) initiative of the Schleswig-Holstein. The knowledge gaps identified in the new overview study should be at least partially closed within the framework of the UDEMM project. The project focuses on an ammunition deposit in the Baltic Sea near the Kiel Fjord. The GEOMAR Working Group Deep Sea Monitoring Group by Prof. Dr. Jens Greinert uses state-of-the-art geophysical imaging techniques to map, identify and depict the existing ammunition. The GEOMAR working group of Prof. Dr. med. Eric Achterberg uses the latest chemical analysis techniques to investigate the release and distribution of munitions chemicals around the deposit. Dr. Ulf Gräwe and his colleagues at the Leibniz Institute for Baltic Sea Research Warnemünde (IOW) additionally use oceanographic model calculations to understand physical and chemical processes that influence the spread of chemicals from the study area throughout the south-western Baltic Sea. Researcher at the Institute for Toxicology and Pharmacology of the CAU under the direction of Prof. Dr. med. Edmund Maser uses mussels close to the old ammunition to investigate the extent to which organisms are directly affected by the chemicals. "In our study, we were able to show that there are still significant gaps in knowledge about the global impact of old ammunition on marine ecosystems. In the UDEMM project, we are closing some. But the goal must ultimately be to eventually eliminate the ammunition. And that's a mammoth task," says co-author Prof. Dr. Eric Achterberg.